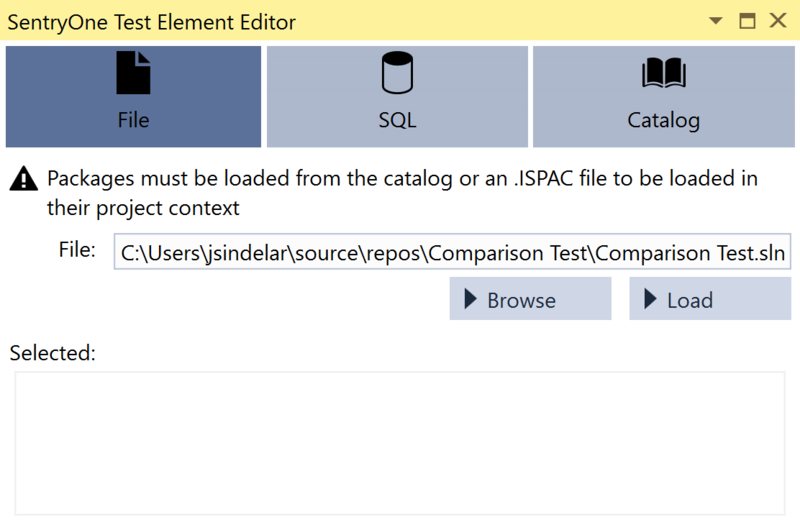 The SSIS asset allows for a quick way to reference a package for tests multiple times, without the need to re-select it for each test you want to execute against it. 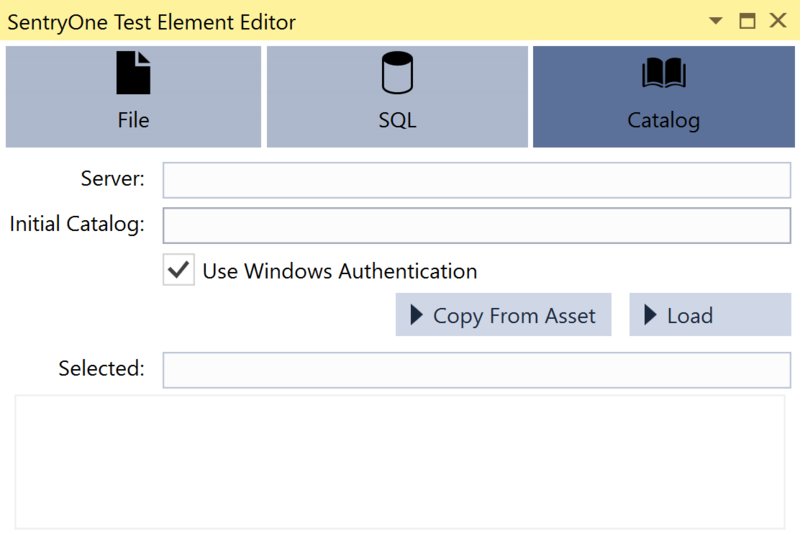 The Package Reference assets holds the location of an SSIS package. 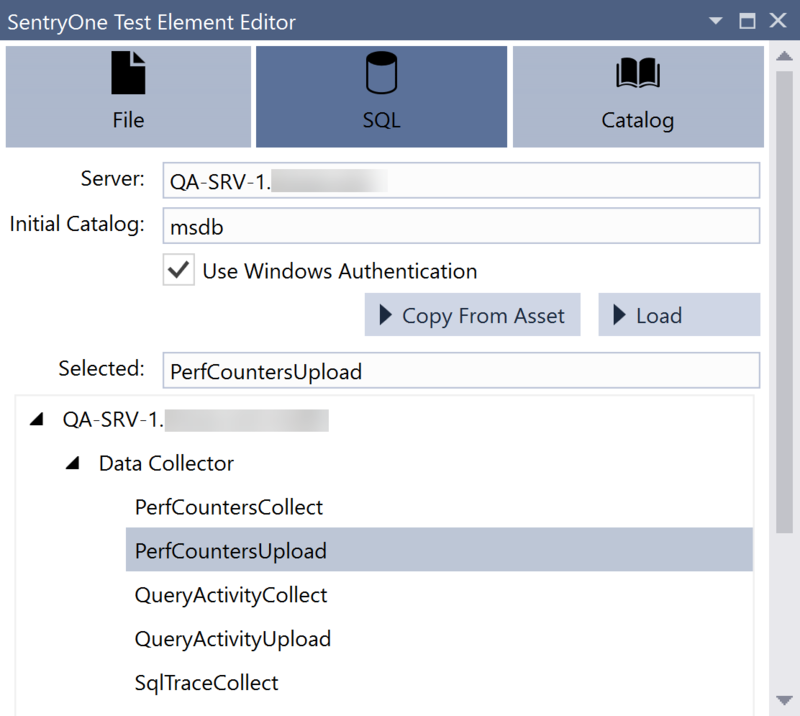 SentryOne Test has support for 2008, 2012, 2014, 2016 and 2017 packages. Browse for a package stored in a file system, or provide the connection string for packages stored on a server or catalog. The catalog option is only available for 2012, 2014, 2016 and 2017 package references. Once the file location is added or the connection string is supplied, select Load to obtain a list of available packages. Once selected, the package can be loaded using the Load Package action. File Location of the package on the file system. The user can either type in directly, or use the browse button to search the machine for location of the package. Selected Specify a location and select load to populate the area with available packages. Connection The connection string to the location of stored packages. This can either be typed or pulled from an existing Connection asset. Selected Enter a connection string and select load to populate the area with packages found on the server. The connection string to the catalog's location. This can either be typed or pulled from an existing Connection asset. Enter a connection string and select load to populate the area with packages found in the catalog.